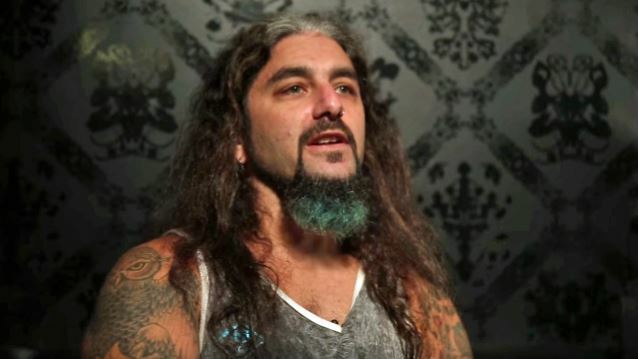 Asked about his decision to leave DREAM THEATER in 2010 while he was on tour with AVENGED SEVENFOLD, Portnoy said: "I needed to do what I did because I couldn't have lived with myself wondering, 'Well, what if?' I didn't wanna wonder what could have happened because I was too scared to take that leap of faith. So I had to [do it]. And believe me, everyone was shocked and hurt, but nobody was more hurt than me. That was the hardest thing I'd ever done, but it was 25 years of blood, sweat and tears, 24-7, I lived and breathed every moment of my 25 years for that band and the fans. So it wasn't like I jumped ship after five weeks; it was 25 years — three times the length of THE BEATLES' or LED ZEPPELIN's careers. So there was plenty of time there, and there will always be a legacy of what I created in DREAM THEATER that will be there forever for the fans to like. But I needed to explore other things in my life in order to be happy and fulfilled." He continued: "I always follow my heart. To me, I'm not gonna follow my wallet or even follow my mind. My mind probably would have said, 'Well, the rational thing is to ride this out into the sunset the rest of your life and be financially set and have your audience. And you can play the same venues the rest of your life.' You know, that's the safer way. But I needed to follow my heart. And it's not just that move six years ago. Every decision I make, I'm following my heart. I follow with what's gonna make me happy — not just that decision, but every decision I make is based on that. If you're not gonna be happy, then it's not worth doing anything." Portnoy revealed a few years ago that he tried to rejoin DREAM THEATER, only to be rebuffed. He explained the move in a 2015 interview by saying: "I was doing whatever it would take to keep peace and keep things going smooth. And at that point, they were just only speaking through their lawyer. But it's a 25-year relationship coming to an end, so, obviously, it goes very, very deep, not only personally and emotionally, but also legally, and all the red tape that's involved with something like that. So it was a tough time, a tough period, and, luckily, we all got through it. But, yeah, I don't wish that kind of stuff on anybody in a band. It's tough." Portnoy's replacement in DREAM THEATER is Mike Mangini, who has previously played with ANNIHILATOR, EXTREME and Steve Vai.